K2 Waterloo, a new condominium project located in the city’s vibrant uptown core, is raising the bar with its ultra-sleek design and on-site amenities. The first tower will stand 21-storeys tall, soaring above most other residential buildings in the area. 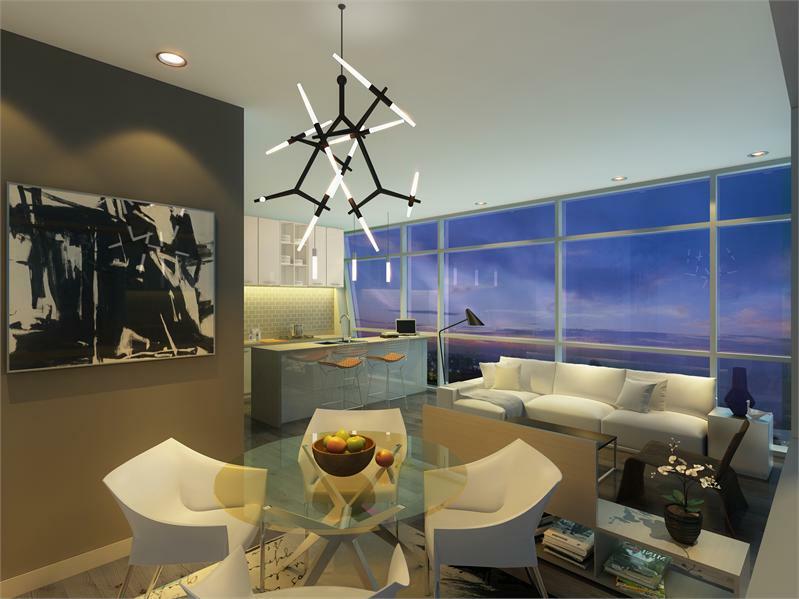 Pair the sky-high tower with an equally modern 11-storey structure, and the development by U.I.D. Development is destined to stand out among the surrounding architecture. 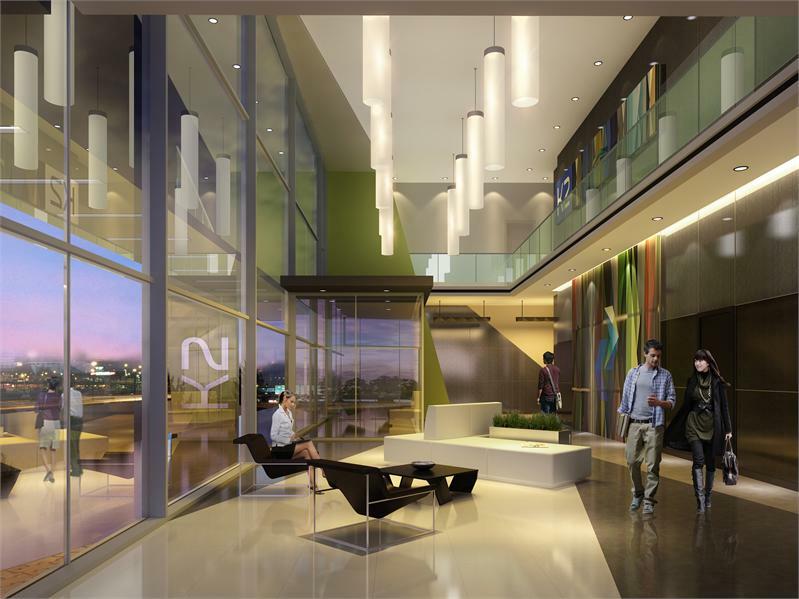 The lobby, with its expansive walls of glass and contemporary finishes, reflects the high-quality features housed within the rest of the building. The brightly-lit suites boast upscale features, and some even come with a den, balcony and/or solarium. Venture outside your suite and you’ll find a variety of top-notch amenities on site. The second-floor podium will house a fully-equipped fitness facility, sauna and private theatre complete with a large screen TV. There’s also an outdoor terrace with a BBQ and a spacious party room. Need we say more? Located on King Street North, residents will be situated on one of the most popular streets in the Waterloo Region that’s lined with trendy restaurants, cafes and retail stores. The neighbourhood also has an upbeat nightlife scene with plenty of pubs and nightclubs within walking distance. For those who don’t drive, the bus stop is right outside your door and you’re just a three-minute walk from Wilfrid Laurier University or a 15-minute walk from the University of Waterloo. K2 is still in its registration phase, so get online to learn more about the project. Prices start from $199,900. 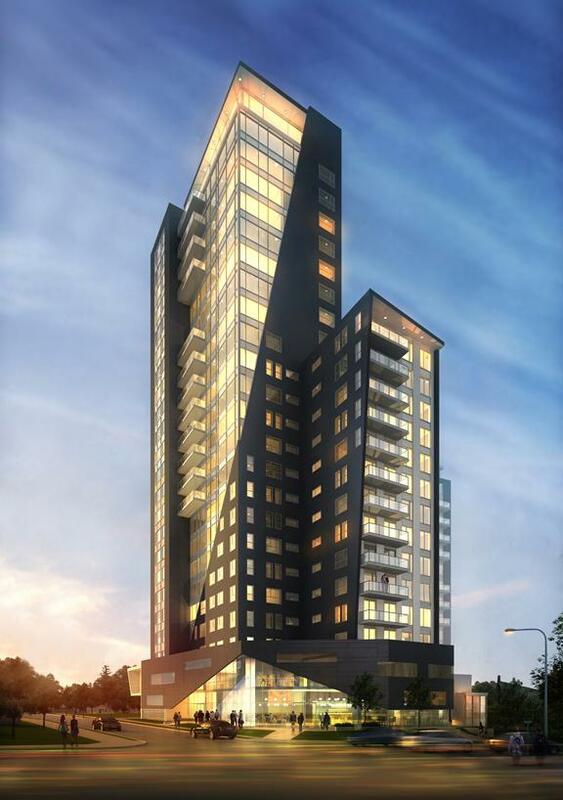 For more information email info@k2condos.com or visit the website here.